Trevor Ariza of the Washington Wizards, for some reason, decided to post a picture of himself on Instagram smoking the hookah at some establishment. The photos show him blowing smoke the way it is shown in several photos of people smoking other stuff without all the failed drug test nonsense. 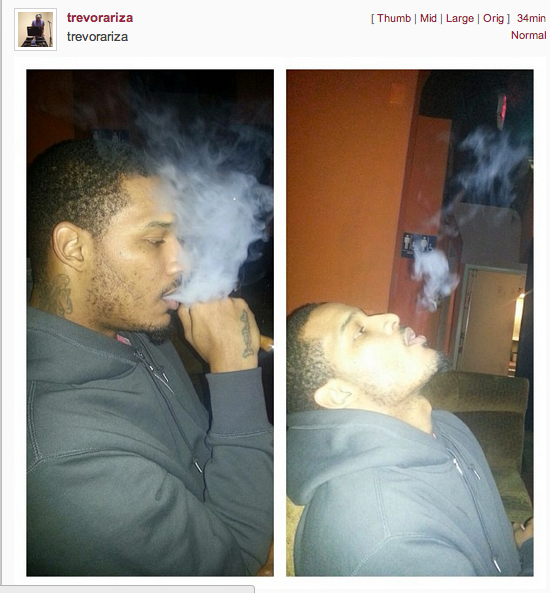 Not sure how good smoking anything is for being an NBA player.